With the changing times and crawling methods of the search engines, the SEO analysts needed to devise new SEO techniques to keep up the website ranks. The old techniques needed to be modified. The basic concept of SEO techniques stays the same. Content originality, focusing on keywords, HTML tags, image optimization, blogs and forums creation and directory submissions and most importantly link building. The content writing shall be largely focused on. Since the website contain huge amount of text hence it is extremely important to keep it original and keyword rich. The articles, titles, URLs, in fact each webpage shall be keyword rich. But keyword stuffing needs to be avoided. Each page shall hold specific title and URL with appropriate key phrases. The Meta Tags shall also focus on keywords. Keywords and key phrases are kept on the core since these are what the visitor type in the search bars and these are what even the search engines focus on. SEO techniques include directory and article submissions. This is one sole and solid method of link buildup process. The advantage is that the website gets purely one-way back links. These help to raise the website rankings tremendously. Care shall be taken about the reputation of the directories first. Only submissions in the reputed directories will be regarded. There are various other ways of link buildup such as getting back links from highly popular websites which are already swimming in the top ranks. Images shall not be named blindly or worse, with digits. Though images can be deciphered by visitors. The search engines still read images as text. Hence, SEO techniques recommend that the search engines shall be helped by appropriately naming the images so that these images are brought forward when someone does a related search in the search engines. This way the website’s name gets promoted and this also makes sure that the traffic of your website increases. With the advancement in technology, it must be made sure that your website can be accessed from mobile phones and other latest gadgets. This is also now a part of SEO techniques only. The website shall not pop out auto generated pages which only add to the frustration of the visitors. For those with local businesses, they must use their country’ domain name and must provide contact details to flourish business. The website must be supported by forum and blogs. Social bookmarking must be done in order to direct the traffic to your website. Social media marketing shall also be done to earn good reputation and links. 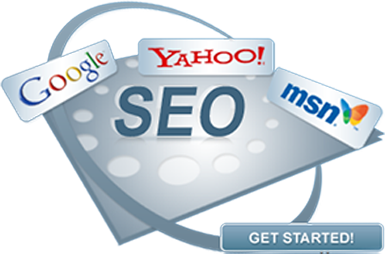 MNC Network Solutions specializes in the latest SEO techniques which shall definitely help your website to sling to the top ranks in the search engine results page. Our service comes at realistic price with trust, guidance and support all through the way.